Tragic news to report coming out of Brookhaven, Mississippi tonight, where two Police Officers were shot and killed in a shootout after a report of shots fired. 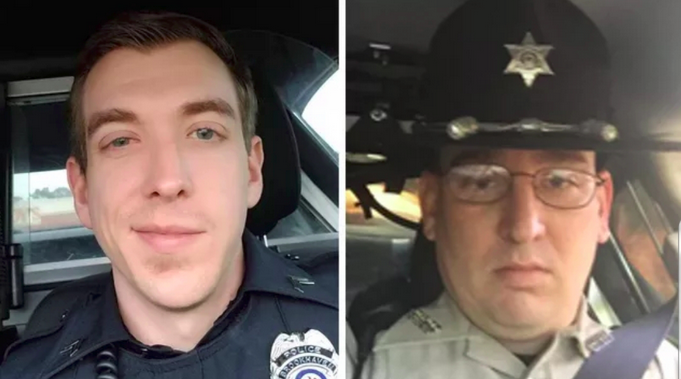 31-year-old Cpl. Zach Moak and 35-year-old Patrolman James White responded to a call of shots fired at around 5 AM on Saturday morning when the travesty unfolded. Patrolman White arrived at the residence at 630 North Sixth Street in short order, with Cpl. Moak following soon behind, Mississippi Bureau of Investigation spokesman Warren Strain said. Brookhaven Police Chief Kenneth Collins said that's when the shots broke out, and Patrolman White was hit by gunfire. At some point, Cpl. Zach Moak fired back at the suspects, before being hit himself. "We answer those calls many times and nothing ever happens but this morning something happened," Collins said. "We lost two of our brave officers." Emergency medical responders arrived at the scene to treat the officers and transported them to King's Daughters Medical Center in Brookhaven. Both were pronounced dead upon arrival. "My heart goes out to their families," Collins said. "You never know when it's your last day and I just want to thank all the men and women in law enforcement for their bravery and for their service." 25-year-old Marquis Aaron Flowers was wounded during the gunfight with police, before being transported to a hospital in Jackson, Mississippi. Flowers was taken into custody shortly after the shooting, and remains under close watch in Jackson, off Interstate 55 in Lincoln County. As of now, Flowers is the only suspect. Both officers were wearing body armor and body cameras at the time of the shooting, police said. "We'll wait and see what that reveals," Strain said of the bodycam video. Moak was on the job since 2015 and was recently promoted to corporal, Collins said. White returned to the department in 2015 after an earlier stint there. "Under fire, they did their job. I'm proud of both of them. I want to tell their families: Two heroes lost their lives this morning. They're in the presence of Jesus right now." As of now, no charges have been filed, but the Brookhaven community is a loss of two of their loved police officers. Gov. Phil Bryant said via Twitter: "Let us all pray just now for the family and loved ones of these fallen heroes. May the Good Lord hold them in his everlasting arms." Collins said that the officers are both fallen heroes, "doing what officers often do for one another." Strain said that the Mississippi Bureau of Investigations, which is investigating the shooting, will review the footage for additional details on what happened.